Everything that concerns corrosion and corrosion protection. Corrosion is the chemical attack on a material leading eventually to its destruction if not stopped. It is caused by electrolytes, gases, solutions, or smelt. 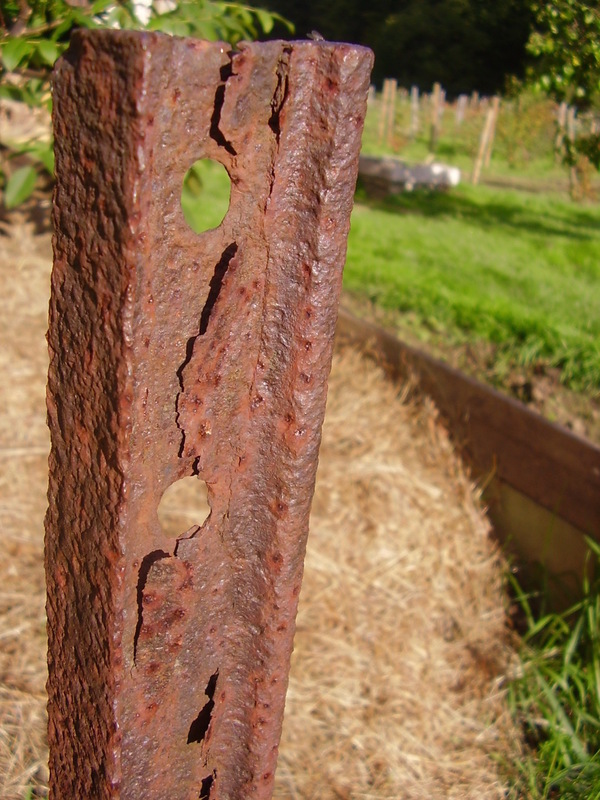 Corrosion occurs in different forms depending on the material under corrosive attack and the attacking agent. On metals, iron, for instance, its most visible manifestation is aerial or localized rust, such as needle holes in the surface. Crystalline corrosion of metals follows grain boundaries on surfaces. Corrosion is highly accelerated if the corroding material is in electrolytical contact with a more noble material. If this electrolytical contact is a liquid or humid substance, then corrosion is further accelerated. The reason is that the corroding material acts as anode (local cell) of a galvanic cell. Mechanical strain can accelerate corrosion as well. A simple galvanic cell. The metal on the left side acts as anode and is dissolved into metal ions (M+). 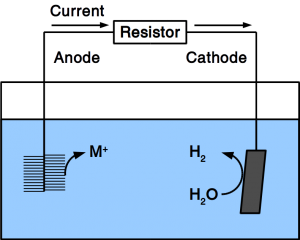 On the cathode water is transformed to hydrogen gas. Corrosion protection is accomplished by coating the vulnerable material with corrosion resistant dense films. Such coating can be other metals such as zinc or chrome, as well as glazing, for example enamel. Protective paint is a wide-spread measure and is accomplished by adding pigments such as red (minium) or white lead, or organic substances. 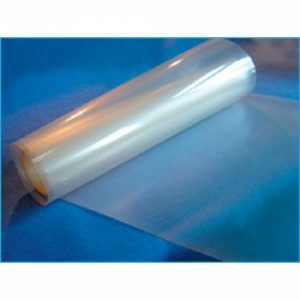 Tight plastic wrap is used as well. Iron is protected through transformation into stainless steel by adding chrome, nickel, etc. If the material is exposed to water permanently, cathodic protection is frequently employed. To accomplish cathodic protection, the vulnerable material is connected to sacrificial anodes such as rods or plates that dissolve over time. Alternatively, directed current is used in many applications. 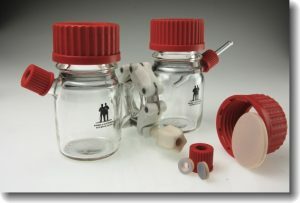 Our patent pending solution provides a microbial anode that uses organic matter in soil or sewer as sacrificial anode. Instead of dissolving the metal, organic matter is degraded by microbes. If a potentiostat is added to the galvanic cell, cathodic protection can be tailored to the protected material or the organics. Besides metals, natural (wood, silk) and artificial polymers (plastics, rubber) can corrode as well. Softwood is generally more resistant than hardwood. Weak acids usually do no harm to wood. However, corrosion protection of wood is accomplished by painting or soaking it using protective agents. Artificial polymers rarely corrode as quickly as metals and if they do, a protective agent is mixed into the polymer formula at the time of its synthesis. While an aluminum-air battery is not used, its electrodes corrode causing unwanted discharge. This self-discharge drastically shortens the shelf life of the battery. 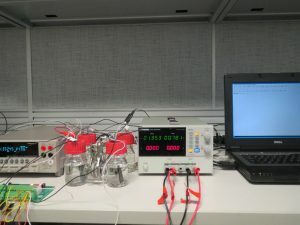 Brandon Hopkins, of the Massachusetts Institute of Technology in Cambridge, and his colleagues developed an aluminum-air battery that uses a conventional electrolyte during operation. When stored, however, the electrolyte is replaced by oil. Their article was recently published in the journal Science. The new battery reaches a storage capacity of almost 900 Wh / kg. This makes the prototype comparable to other aluminum-air batteries. In contrast, the new corrosion protection extends the storage time 10,000-fold. 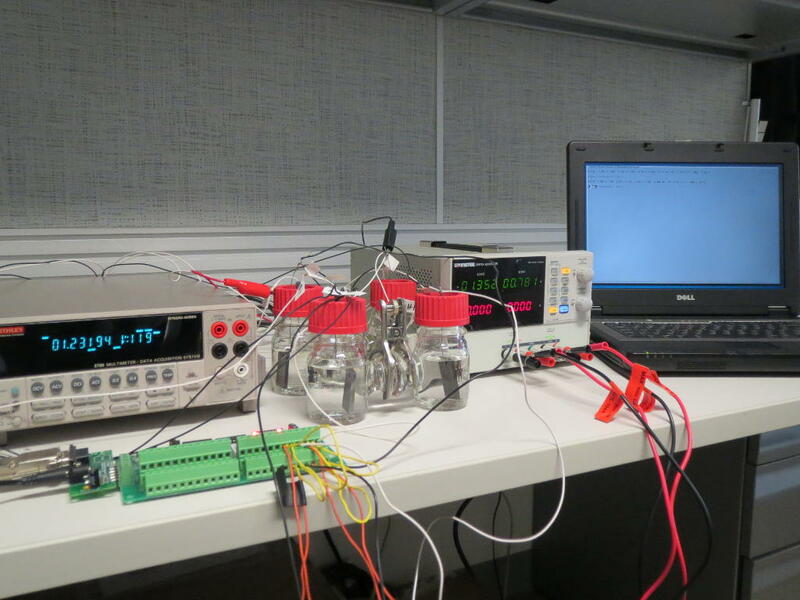 The authors suggest that such a battery could be used in long-range drones and grid-independent power generation. 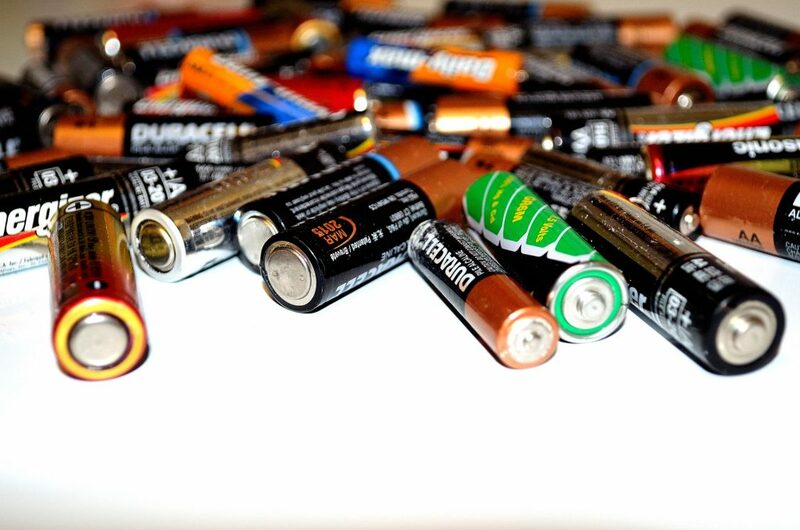 At Frontis Energy, we believe that batteries with high storage capacity and durability can be used almost anywhere, for example for sensors and other applications. As our preferred reader, you know already what we work on Power-to-Gas to combat Global Warming. We think that giving CO2 a value will incentivize its recycling and recycling it into fuel turns it into a commodity that everyone needs. While the price of CO2 from air is still too high to convert it into combustion fuel, working on the other end (the CO2 conversion) will help to accommodate such high prices. We have now published an research paper that shows how how to reduce the costs of electronic equipment needed for CO2 conversion. For Power-to-Gas as well es for electrosynthesis of liquid fuels, it is necessary to poise an electrochemical potential. So far, only electronic potentiostats could do that. We have developed a software solution that can control cheap off-the-shelf hardware to accomplish the same goal. Since the software controls µA as well as MA, it is freely scalable. By stacking cheap power supplies, it can also run unlimited channels. Frontcell© potentiostat setup with two channels. 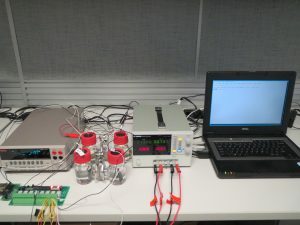 From left to right: digital multimeter (in the back), relay board (in front), two H-type electrolysis cells, power supply, control computer. 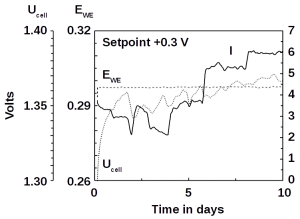 We tested the software at a typical experimental Power-to-Gas setup at −800 mV and found that the recorded potential was stable over 10 days. 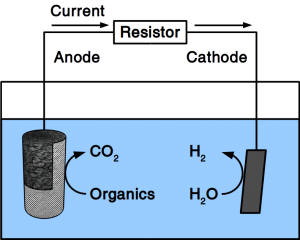 The small electrochemical cells could also be replaced by a larger 7 liter reactor treating real wastewater. The potential was stable as well. The potential of −800 mV controlled by the Frontcell© potentiostat was stable for 200 ml electrolysis cells (left) as well as for a larger 7 l reactor (right). As instrument control of mass products also makes the chemical processes involved cheap, microbial electrolysis of wastewater becomes economically feasible. 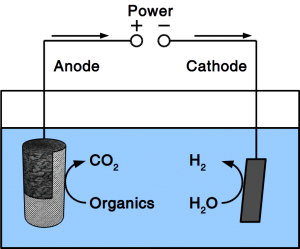 Removal of wastewater organics usually occurs at positive electrochemical potentials. Indeed, the software also stabilizes such potentials at +300 mV. The Frontcell© potentiostat stabilized a 200 ml electrolysis cells at +300 mV for ten days. The potentiostat is currently available as command line version. We are currently accepting pre-orders at a 50% discount for the commercial version that comes with a graphical user interface and remote control using an internet browser.